Since late summer, my three year old daughter Lilah has been mesmerized by Jupiter. Every night for a few months now it has been high in the evening sky, one of the first things to pop out of the murky twilight and reveal itself night after night after night. Back in the summer we would have to go outside right at her bedtime, when it was just barely dark enough to make out Jupiter, so she could say good night. These days it is plenty dark as we drive home every day, and , for her, the highlight of the drive is the moment after we’ve climbed the little hill to our neighborhood and we take the final left hand turn to point west, and Jupiter suddenly appears in her window, high enough in the sky to even be seen from the moderate depths of her child car seat. Anyone who, like Lilah, has been following Jupiter has noticed that it is no longer the king of the evening skies. A while back Venus crept up into the twilight to start to steal the show from Jupiter. Or, at least, in Lilah’s view, to share the show. She went from having only one planet to now having two planets to say goodnight to every night. Lilah sees planets everywhere. You never quite realize – until you have an obsessed 3 year old – how prevalent images of planets are in everyday life. She’s got them on her lunchbox (a gift from friends who thought it would be funny if Lilah carried a lunchbox where Pluto is a planet); she sees pictures in magazines and catalogs; she sees mobiles and puzzles at stores. I would tend to just walk by them without noticing, but she always runs up – “Daddy daddy daddy daddy LOOK!” She always quickly picks out Jupiter (the big one) and, of course, Saturn. She recognizes the globe-like look of Earth. And she gets Venus right more often than I think she should. A few nights ago, after a long cloudy spell when we couldn’t see the planets at night, Lilah looked up at the sky and was a bit startled. “Daddy daddy daddy daddy daddy daddy daddy LOOK! Jupiter MOVED!’ And she was right. While Venus and Jupiter had been slowly edging closer to each other over the past few weeks, you wouldn’t notice it unless you were watching closely. But now they were suddenly so close that even a three year old could look and see that something had changed. As much as I am charmed by Lilah picking out pictures of planets in magazines to show me, having her point out to me that Jupiter moved was – for me – the pinnacle of planetary charm. While most kids and adults can name the planets and point out pictures, almost nobody notices the real thing even when it is blazing in the evening sky. Planets are not just things that spacecraft visit and beam back pictures from. They’re not just abstractions to put on lunch boxes. They are really there night after night after night, doing what only planets do: moving. Last night – Saturday – the show got even better. The sliver moon showed up low in the early evening sky anda began working its way toward Jupiter and Venus. For half of the month, Lilah and I watch the moon get bigger and move east night after night in the evening sky, so we both know what is going to happen next. Based on how far the moon is from Venus and Jupiter, it looks like on Monday night the moon will be packed tightly in the evening sky with Jupiter and Venus. It will, I suspect, be a spectacular sight, with the three brightest objects ever visible in the night sky in an unmistakable grouping in the southwest just after sunset. It’s the sort of site that I think – that I hope – will make even non-night sky watchers suddenly look up and wonder. And when they look the next night, to see if it is still there, they will notice the moon has already moved further east and gotten a little bigger, and they will see that two other bright lights – Jupiter and Venus – are in slightly different spots. Maybe even a person or two will follow the moon’s movement for the next week as it grows to full. Maybe a lucky few will watch as Jupiter gets lower night after night, leaving Venus alone in the sky by next month. It’s a show worth following. I know Lilah and I will. I’m on a flight across the country tonight. I touch down long after Jupiter and Venus and the Moon will all have set in Florida. As I was packing my bags this morning Lilah asked: “Daddy, are you going away to go talk about planets?” Yes, Lilah. I’m going away to talk about planets. I forgot to tell her, though, that I’m going to see some, too. I was sure to pick a window seat on the south side of the airplane so I could watch the show from the air. And when I arrive I’ll call back home and tell Lilah all about it and tell her to go outside right now and LOOK! she can see all of our favorite planets and LOOK! the moon has moved and grown and I’m sorry that planets are taking me far from home tonight but I’m glad we have these here in the sky to share tonight and forever. I’m in Tucson this week and right now about to go out to dinner as part of three days of talks and meetings and lunches all in conjunction with me being awarded the Marc Aaronson Memorial Lectureship this year. I do not tend to talk much about things like this because it seems a bit unseemly, but I am going to break my usual silence and tell you why this particular award is particularly meaningful to me. There are several reasons why I am quite flattered and honored to be receiving this award. First, the list of the people who have received the award over the past two years is particularly impressive. It is thoroughly flattering to be considered to be in the same company as people who I think of as superstars in the field. It’s also gratifying to receive such an award from what I still can’t help but think of as “real astronomers.” Astronomers who study the solar system have long been considered the ugly step-sisters of astronomy. Nobody really wants to give us telescope time or accolades or awards. In fact, we had to set up our own societies so we could give each other awards and not feel totally left out. Both of those reasons for being honored to receive the award, however, would be reasons I could give no matter what the award was. But, to me, receiving the Aaronson award means even more. When I was a senior in college in 1987 [which, by the way, means I just had a 20th college reunion, which I am pretty sure disqualified me from being considered “young”] I found what I thought was going to be the field in which I was going to make my career. I had been doing research projects with physicists who were interested in the large-scale structure of the universe – where galaxies are, why they have the distributions they do – and I thought that that was about the most interesting thing that any human could possibly study. The only problem with the projects on which I was working was that there were more theoretical or computational than observational. I wanted to be someone who went out to telescope and collected data and discovered things myself. I didn’t want to just sit in the computer lab in the basement and make endless computer models about how the universe might be, I wanted to go out look at the night sky and figure out how it actually is. Nobody did that at my university, so I started looking around to see if anyone did that anywhere. Every time I looked up the topic or anything related, a single name would always pop to the top: Marc Aaronson. Aaronson was an astronomer at the Steward Observatory at the University of Arizona, and he was doing exactly what I wanted to be doing. I decided that what I really wanted was to be Marc Aaronson, but that, since this seemed unlikely, I was going to go to graduate school at the University of Arizona and I was going to work with Marc Aaronson. That spring, Aaronson was crushed to death by the dome of telescope where he was working. I decided maybe I wouldn’t go to graduate school. I went biking around Europe instead. To which, they could have added, which all came about through a winding complicated path whose direction was never certain, but whose start was clear after being pointed out by Aaronson. If you pay any attention to space news, or even just to the front page of the LA Times you will know that this week brought reports of the first-ever pictures of planets beyond our solar system. · Do I believe the results? I tend to be quite skeptical of results, whether they are mine or anyone else’s. Cutting edge science is hard, or someone would have done it already. There are many ways to make mistakes and to misinterpret data, particularly when you desperately want a certain result to occur. These astronomers clearly want their results to tell them there are planets. Did they take any shortcuts that could have led them astray? Did they stray into wishful thinking? I read carefully looking for sloppiness, as I would do when reading any other scientific paper. In this case there appeared to be no sloppiness, and no wishful thinking. The observations were quite meticulous. The analysis solid. I don’t see any reason not to believe that they had indeed seen something. So far so good. · Do I believe the interpretation? At this point, I believed that, yes, indeed, the thing that had caught their attention in their data was probably real. I d something. But what was it? Was it really a planet, like they claimed? Many scientific papers can be meticulous about discovery and then sloppy about interpretation. The reason for the sloppiness is often, again, wishful thinking. The astronomers here saw something, and they really wanted that something to be a planet. That desire for discovery can lead to data cherry picking just like that that has often been discussed about the intelligence community interpretation that there were weapons of mass destruction in Iraq. You pay close attention to the data that supports what you want to be true, you discount data which is less supportive. Scientists are supposed to be driven purely by facts and immune to such thinking, right? Well, no. Science is supposed to be driven by facts, but scientists are just people who can’t help but be influenced by many outside things. Did it happen here? I kept reading. I couldn’t find any flaws in their interpretation. They did all of the things that they needed to do to really prove that what they were seeing was a planet going around a distant star. They didn’t ignore any of the counter evidence. The news was good. I believed the results and the interpretation. Only one question more to go! · Do I buy the spin? Any paper that is being covered by the press is being spun, whether the authors intend for it to be or not. Sometimes the spin is fair, sometimes it is a bit oversold, and sometimes the spin can be so off that it takes an accurate scientific paper and turns the public interpretation into bad science. These papers about imaging planets around other stars were, in my opinion, a bit oversold. These pictures of planets around stars were more of a long-expected technical milestone than astounding discovery. OK! I was ready to talk to the reporter. What to say? I thought through my reactions: yes, these really were the first images of planets outside of the solar system; yes, the scientists are good and credible; yes, people have been working for a long time to achieve this thing. But how was I going to deal with the other thoughts that I had? No, this was not nearly as exciting as people were making it out to be. We have known about planets around other stars for more than a decade now, and taking a few pictures adds very little to our scientific understanding of them. There was a race to see who could take these pictures first, not because anyone really had many questions about what the planets would look like, but simply so that someone could be declared the winner and put the feather in his cap. That’s not a very kind thing to say about work by a colleague who has worked hard to achieve this result. And it’s not really what a reporter – searching for the breathless quote – wants to hear. Yet that was my initial reaction. Five years ago today I discovered Sedna. Sedna is an unexpected oddity in the outer solar system. It is on a looping 12,000 year long (!) orbit around the sun that carries it as far away as 1000 times the distance from the earth to the sun and as close as 76 times the earth-sun distance. Nothing else known has such an orbit, and no one really knows how Sedna got there. For five years we’ve been searching hard for something else like Sedna, and, so far, we’ve come up blank. Most scientists don’t talk to the press that much, and, when they do, they talk to them like they would talk to another scientist. When talking to a fellow astronomer, for example, I am able to step back and freely say that the discovery of Eris was not particularly a big deal. It was simply an object slightly larger than Pluto with very few intrinsic scientific implications (Sedna, in contrast is a big deal and has huge implications, but that discussion will have to wait). 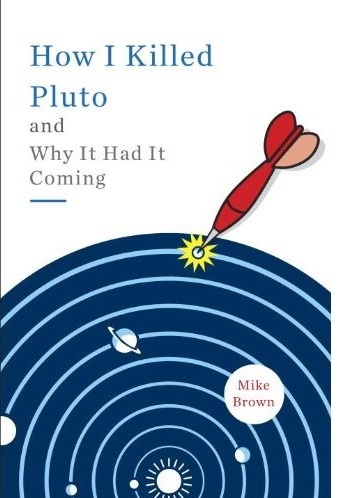 It became a big deal culturally, as it precipitated the long-discussed downfall of Pluto, but, scientifically, it really didn’t change much of the way that we view the solar system. When reacting to scientific papers, scientists are more used to the idea of peer review (more on this next week! ), where you are supposed to be detached and point out the good and the bad and the utterly mistaken parts of a paper. You are certainly not supposed to be excited. But commenting to the public on scientific papers is not peer review. Reporters are not scientists. They are not reporting to scientists. They are reporting to people who have a million other bits of news coming in and may or may not pay attention to this one. But if they do pay attention to this one, they will actually think about and learn a little bit about science that day. Any scientist should be happy when that happens. The role of the commenting scientist in this case is not to downplay the significance of some other scientist’s result, but to explain the excitement. 1. Momentarily forget scientific detachment: If the result is exciting, allow yourself to be excited. Explain why you’re excited. 2. Re-explain the science. More often than not, the person talking to you has heard more of the spin than the science. The science is actually the cool part. Emphasize it. 3. Resist the cliché. In commentary about exo-planets, someone will invariably say “and this will help us discovery earth-like planets.” For Mars the cliché is “and we can look here for life.” For Titan: “and no we will better understand the origin of life.” Clichés are nice things to say, since you don’t have to think much to say them, but, as a consequence, they don’t actually mean much, either. And, since they are clichés which can be used for almost anything, they don’t do much to actually explain the science. The real science is probably much more interesting than the cliché. 4. Never ever hesitate to point out bad science. Bad science is worse than no science. Never hold your nose and pretend to be excited when things smell funny. In many circumstances, explaining why something is bad science provides an excellent education as to what good science should be. If the science is good but the spin makes it bad, unspin. Talk about what the science really says. 5. Congratulate and thank your colleagues. Someone did something good that allowed you to have a chance to do a little public scientific education. Send him or her a quick email and say thanks and job well done. I can’t say the pictures are surprising. We have known for a long time that these planets are out there and that someone someday would take pictures of them. But that doesn’t take away from the exciting fact that we are seeing planets around other stars for the first time. When you start to sail across the ocean you know that you are finally going to reach shore, but, still, when you see land for the first time it is the most beautiful and exciting thing in your universe. “Land ho!” is never said in a quiet voice. And then I hung up the phone and sent congratulations to my colleagues for their exciting discoveries.